Stained and dirty flooring can single handedly bring down the décor of an entire home. If you’re dealing with this issue in your property, you need to know that there is an easy solution. A professional tile and grout cleaning is the answer you’re looking for. Expert cleaning actually can save you big money compared to what it would take to completely replace a floor. It’ll also save you tons of energy and headaches from doing it yourself. 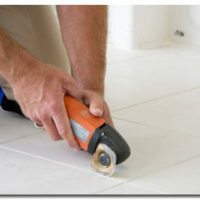 A lot of people end up avoiding dealing with stained tile and grout because of the level of difficulty of the project. 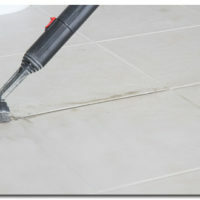 Cleaning tile and grout is hard because the grout has pores, which can make removing dirty and grime nearly impossible. It takes professional-grade equipment to get deep into pores and remove those unsightly stains. When your tile and grout are being cleansed, it’s important to first vacuum or sweep away the loose dirt. This will prevent the dirt from setting into your floors as you mop. It’s not a good idea to use harsh chemical cleaners, such as bleach, on your tile and grout. 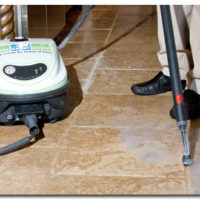 Only cleaners that have been approved for safe use on ceramic tile and grout should be used. After the mopping is done, rinsing the tile and grout is important. After all is said and done, a sealant should be applied to help keep your floors cleaner and newer looking longer. Bring Your Tile and Grout Back to Life! A professional tile and grout cleaning will work wonders for your floors and the rest of your home. To schedule an appointment with The Grout Medic, contact us today!